Cold-war climate within NATO’s ranks, with the US threatening Turkey for its military cooperation with Moscow. US Vice President Mike Pence openly threatened Ankara with an exit from the F-35 program and the cancelation of the delivery of the fighters to Turkey, on the wake of Ankara’s insistence on the purchase of Russian S-400 anti-aircraft system. At the same time, he spoke about the possibility of Turkey leaving NATO! 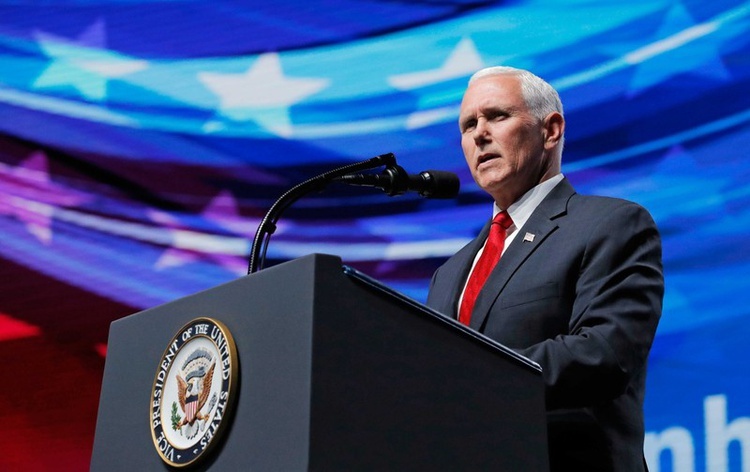 In his speech at the panel entitled “NATO brings together, the 70-year-old alliance”, Pence said that “the S-400 purchase from Turkey is a big risk for NATO. If Turkey insists on the S-400 purchase, it will face the risk of leaving the F-35 program. Turkey must make a choice”. The US Vice-President stressed that the possibility of receiving a Russian anti-aircraft system would not only weaken Turkey’s defense capacity, but would also cause great damage to Turkish companies supplying spare parts to the F-35 program, as the cooperation will be terminated. Turkey, which plans to receive 100 F-35 fighters, is a co-producer with six Turkish companies aiming to supply various spare parts for the aircraft’s production. Earlier, at the same panel, Turkish Foreign Minister Mevlut Cavusoglu had said that “the S-400 agreement has been finalized. The US had made a proposal for Patriot defense systems, but there is no guarantee that this agreement will be completed”. He said that no one can put pressure on Ankara to make a choice between the West and Russia. In the Turkish press, particularly in the pro-government newspaper Yeni Safak, there was a publication with Turkish officials saying that some important parts of the S-400 anti-missile system had already begun to arrive.